Well, the time has come. 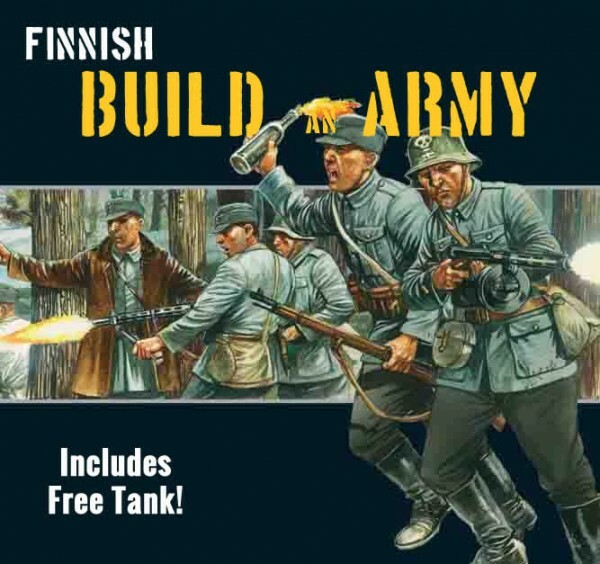 You can now Finnish your Bolt Action collection via the Build An Army deal program. Yes, I stand behind that joke, no matter how terrible it might be. But really, Warlord Games has added the Finnish forces to their army deal program. So just build your army using the menus and click "order" and you get it sent to you, plus a free tank. As before, it's not some tank at random, either, or "you get this one tank and you're gonna like it!" You actually get a choice of 5. So you can pick out the tank kit that'll fit your army best as you've designed it.